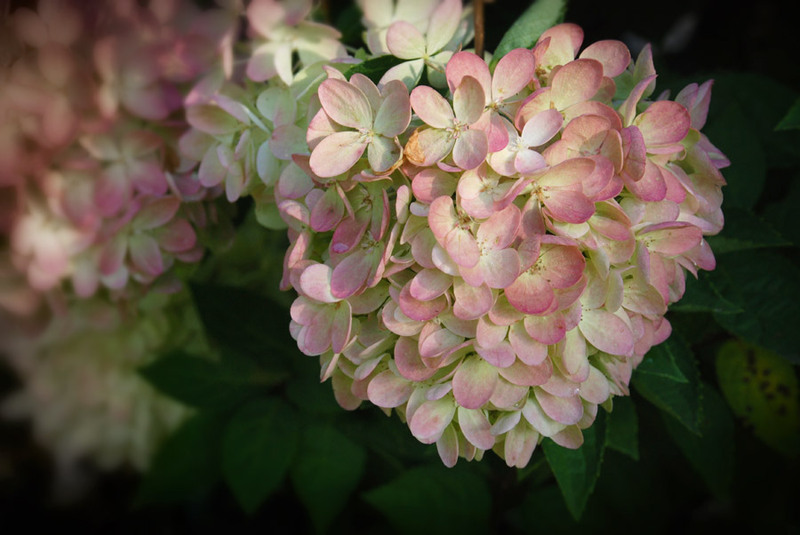 Late summer, fading hydrangeas in front of the house on Black Gum Hill. Post-processing includes adjustment layers and Melancholytron filter plug-in by Flaming Pear for a softer look. I love this photo -- I love the way my focus is drawn across the photo. I love the contrast of colors. I love the light in it. Thanks for putting it up here.